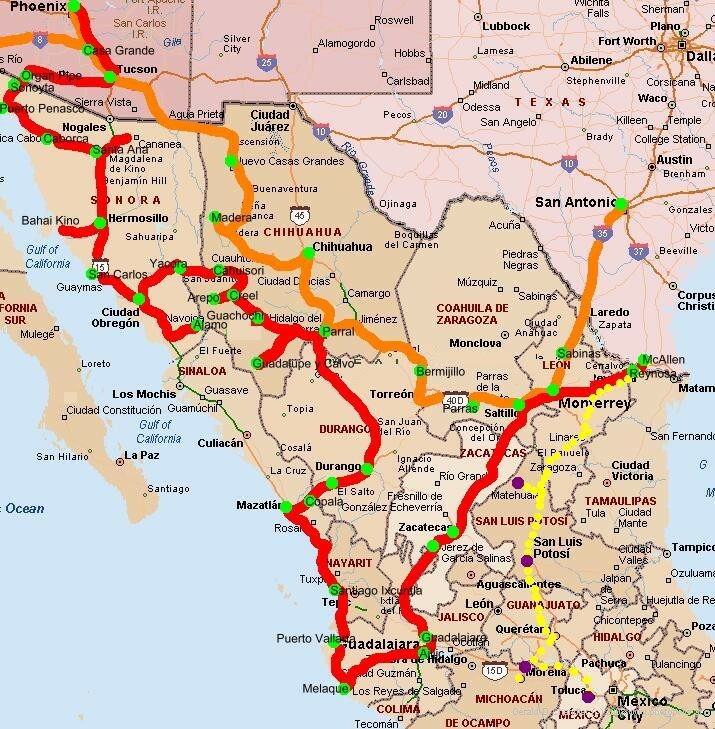 The route of our April trip is shown in orange on the map below; our August-October trip is in red. ellow marks the route we propose to take when we leave Texas. Cities where overnight stops were made are marked with green circles. To learn about the parts of the route that were not in Mexico, see our USA 2003 pages.